What's DOING in Personal Kanban? 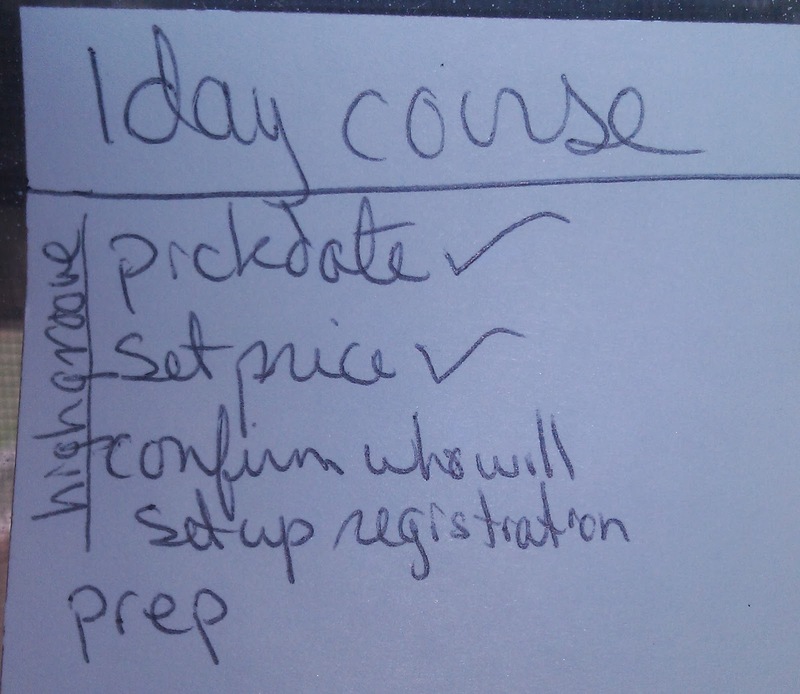 What do you do with Stories on your Personal Kanban that you are going to put aside for a day or three? I'm committed to limiting my Work In Process (WIP) and to "stop starting / start finishing" but some stories/tasks just need to be put aside. I'm not talking about tasks that are blocked, waiting on someone else. Those I'll either flag or move to a Waiting/Blocked column. Rather, this post is about stuff that I need to stew on or need to come back to when my mind is ready. What do you do with those? Herein I'll tell you what I do, but I'm really interested in what you do. Please post your thoughts and ideas in the comments. I don't have a HOLD column on my personal kanban wall. Hold seems to be a misnomer for me. It's a kind of lie. The work really still is in progress. It's WIP. I'm going to come back to it this week, maybe tomorrow, maybe even today. It ain't done. I could split my task or story each time I feel the need to set one aside, putting part of it in DONE and part of it back in a ready column, but I kind of like my definition of what is a story, what is a task and what is a next-action (or sub-task). I don't want to monkey with that. Anyway, splitting stories is a kanban hazard. I have Projects (held in a folder) that get broken down into multiple Stories, each Story on its own stickie. Some Stories are stand-alone, not related to any Project. I also have some Stories that have multiple "next-actions" (or tasks or sub-tasks, whatever you choose to call them). 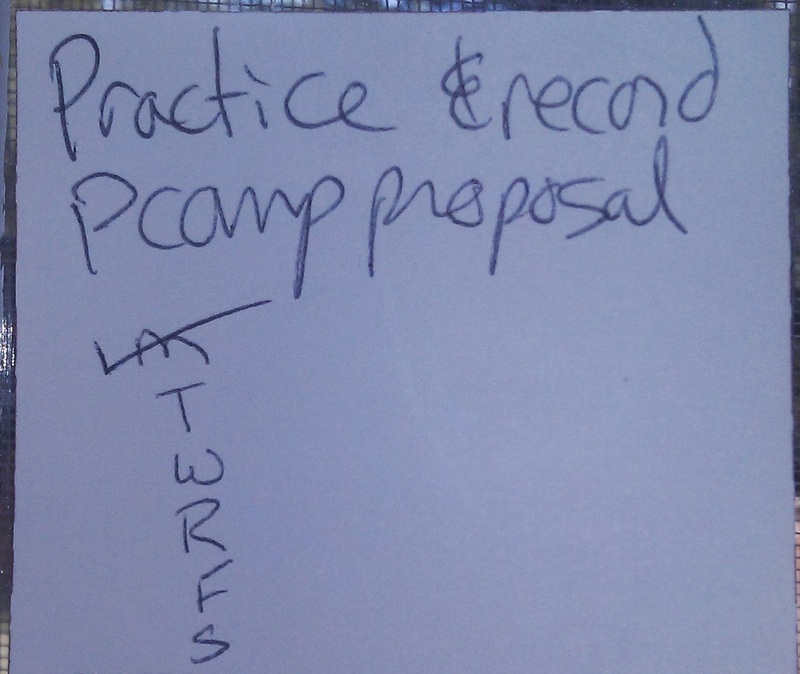 In the spirit of Getting Things Done (GTD), I note the next-action, or next several actions, on the Story stickie. Often, each one of these next-actions might take 5 minutes or less, so they don't seem to be a Story deserving of a stickie of their own. So here's what I do for those tasks in that nebulous state of not done but not active either. I'd love for you to add your thoughts in the comments. 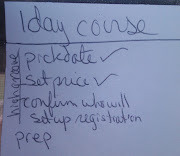 Some of my to-dos need time to stew, such as writing a blog post. I have lots of outlines and rough drafts. I create drafts quickly when the idea comes to me. Such activity never enters my personal kanban. 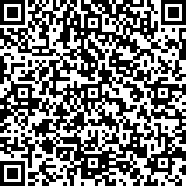 In the spirit of GTD, if it takes less than a couple minutes to do, just do it. I very rarely create a Task or Story for such activity. But when I select a draft blog post to finish, I put the blog-post Story on my personal kanban in DOING and leave it there until I'm done-done. But I won't finish it in one setting. I'll flesh it out and let it sit. I'll come back to it, pretty it up, put in some links and gather some photos, and let it sit. I'll proof read and polish it and paste it into blogger, and let it sit. I'll come back to it some morning to be sure it's ready to go, publish it, and tweet it. 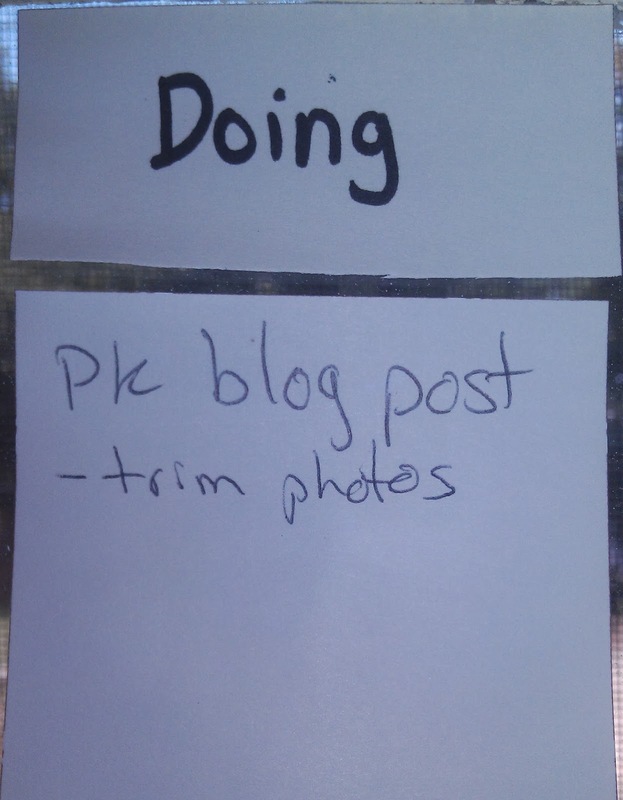 During all of that, I might add a next-action (sub-task) either into my draft blog post (such as "--insert photo here--") or onto the stickie (such as "trim the photos"). I'm pretty satisfied with how I do that. 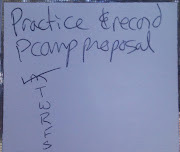 Other times I'll have a to-do that I want to work on a little each day, such as practicing a coding kata or revising/rehearsing a short speech. Maybe I'll put a "next action" (sub-task) for each day of the week on the stickie and check them off as I go. I don't usually leave those in DOING for the week. If I've done it for today, I don't like leaving it in the DOING column. I usually move them back to some ready column each day. But it's still in progress for the week. I'm not completely satisfied with how I do that. Sometimes I've left such a story in DOING. What do you think about this? Do me a favor and post your thoughts in the comments before you go.